Jack Golden Auto from All-in Medicinal Seeds are feminised autoflowering seeds that are originated by crossing a Ruderalis x Jack Herer. The genetics of this weed plant are unfortunately unknown to us. All-in Medicinal Seeds Jack Golden Auto are weed seeds that are appropriate for an indoor grow and outdoor grow. The tops of these weed plants have a delicious wood aroma with elements of mint and pinecone. Smoking this weed creates a euphoric effect in combination with a nice relaxed feeling. Because of her light narcotic effect, she is also used as medical cannabis seeds. 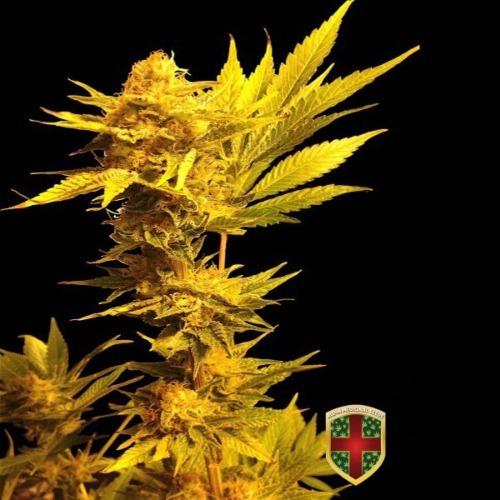 Growing cannabis from these feminised autoflowering seeds give you the opportunity to grow a delicious weed! Tell us and our customers what you think of the Jack Golden Auto from All-in Medicinal Seeds.